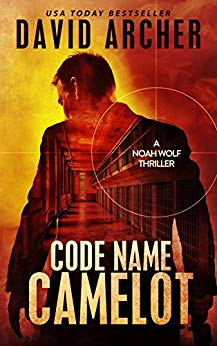 After witnessing the murder-suicide of his parents as a child, Noah suffers from a form of PTSD that has left him without emotion, without a conscience and without the ability to function as a normal human being. With the help of childhood friends, he learns to watch others around him and mimic their behaviors, in order to conceal the fact that his mind operates more like a computer that he has spent years programming. That program is what allows Noah to pass himself off as normal, by establishing parameters of right and wrong that are completely inviolable to him.As a young adult, Noah finds structure in the U.S. Army, and becomes an excellent and exemplary soldier, but when his self-imposed programming is put to the test by the murderous acts of the superior officer, Noah finds himself quickly made expendable, charged with crimes he did not commit and facing the possibility of execution. Without any reasonable hope for a reprieve, Noah's logic-based mind accepts his fate.Sometimes, though, things are not all as they seem to be, and Noah is offered one chance to save himself. It was his disability, his lack of emotion, that made him the soldier he had become. Now, an ultrasecret organization known as E & E wants Noah's talents, offering him a chance to survive…As the most deadly assassin the world has ever known.